October 16, 2015 — I look forward to this night every year. The night where I introduce my younger and less-horror-inclined wife to an 80s horror movie and then interrogate her about the experience. We’ve done four movies so far—The Fly, Hellraiser, Re-Animator, and The Texas Chainsaw Massacre (okay, we made an exception to the 80s with that one). Each has been a fun, illuminating experience. But the streak had to end at some point. It’s mostly my fault. Instead of choosing something universally revered or something that I personally treasured, I went with a current trend, a movie that has in recent years grown in popularity since its relatively disastrous debut more than three decades ago. 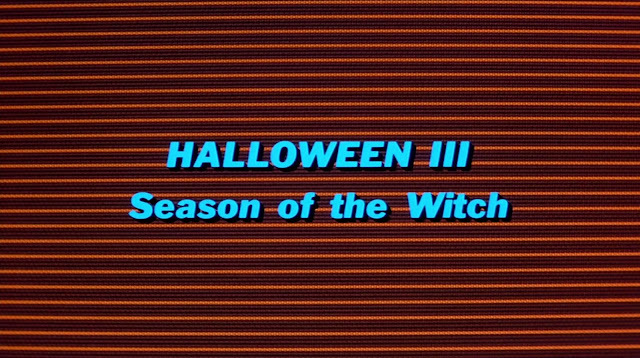 I’m talking about Halloween III: Season of the Witch. And the rest of the fault is its. I thought it would be the perfect movie for this concept. 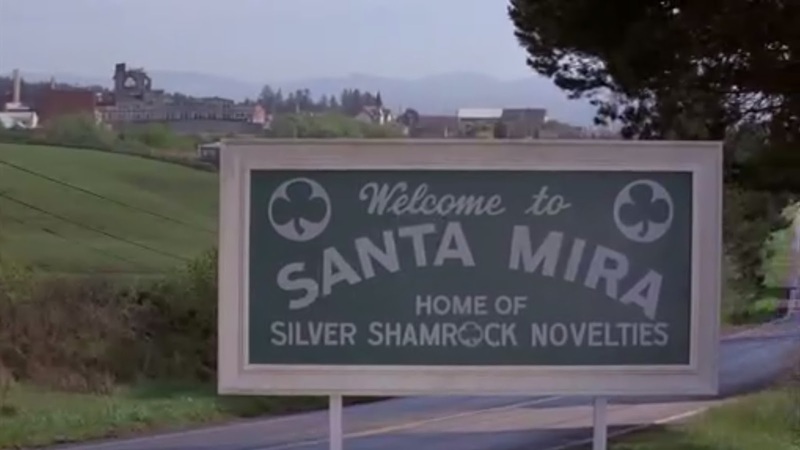 First, we’d never actually done a Halloween-themed movie for this Halloween blog series. Second, this season is going to be our own personal Season of the Witch since we are spending all of October in Witch City itself—Salem, Massachusetts. 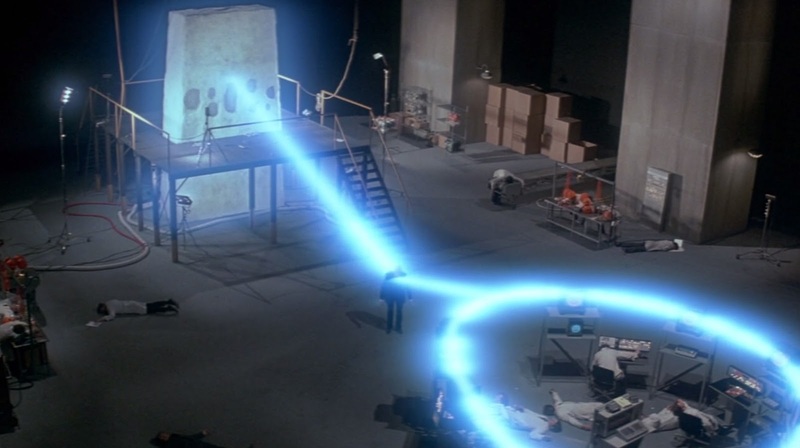 Third, I hadn’t seen the movie since I first watched it on VHS in the late 1990s. I remembered the individual pieces of the movie—the basic plot, the masks, the jingle. But not really the movie overall. I shouldn’t have trusted the trend. See, when Halloween III came out in October of 1982, it was a sudden left turn from the previous two Halloween films. 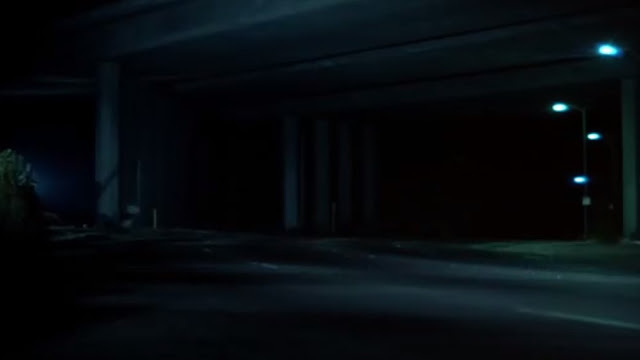 Michael Myers was nowhere to be seen. It wasn’t a slasher film. It was barely a horror film. The filmmakers thought that Michael had run his course in that fiery hospital inferno, so they decided to repurpose the money-making Halloween brand into, well, a Halloween brand and start making a series of Halloween stories instead of Halloween stories. Thank god for italics, or this post would be extremely confusing instead of only highly confusing. 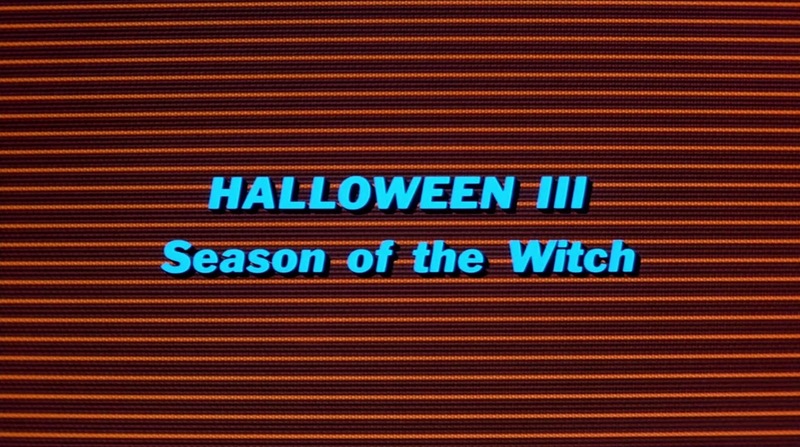 But they didn’t get much of a chance to make that new series, because Halloween III wasn’t received well. 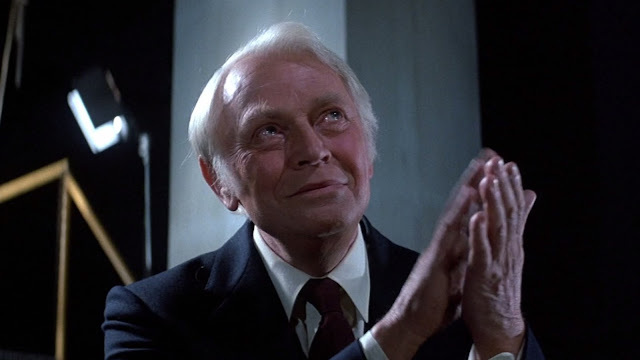 Horror fans wanted Michael Myers, and they got him back in the fourth movie. 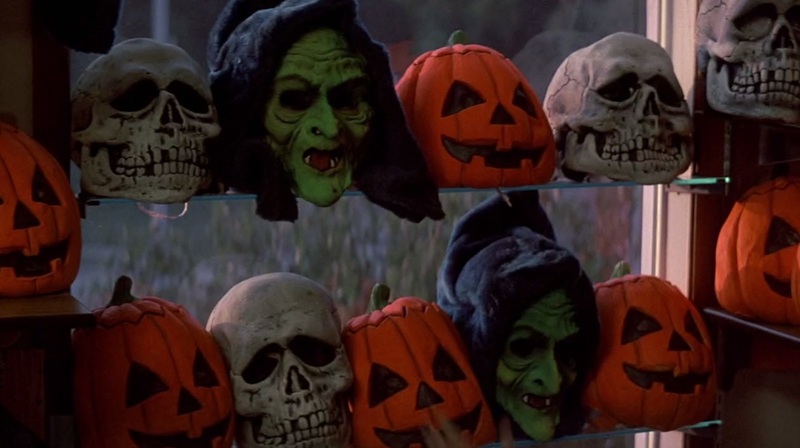 However, in the past few years, Halloween III seems to have experienced a resurgence. The story behind that resurgence seems sound. People didn’t judge the movie on its own merits when it first came out. They judged it for not being a Michael Myers movie. And it took a few decades and few bad Michael Myers sequels for us to finally do that. 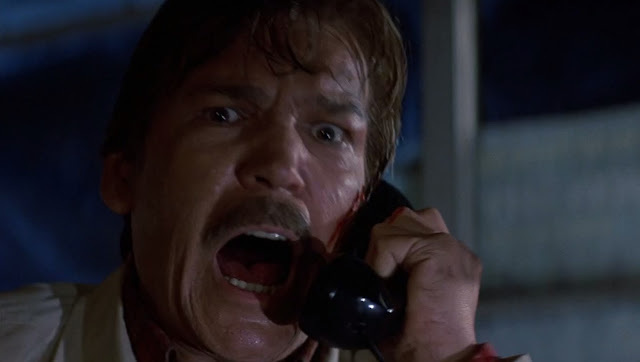 Even Tom Atkins’s IMDb.com biography calls the movie “unjustly maligned.” Right. He defended the movie in his biography. 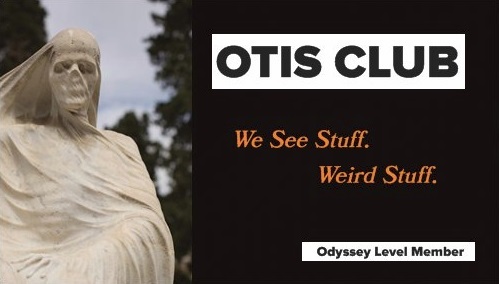 The film is a beautifully bonkers story. I mean, an Irish witch in a suit who makes his fortune off novelty toys creates a robot army and steals one of the massive stones of Stonehenge, tiny pieces of which he combines with a microchip inserted into children’s Halloween masks that, when triggered by a commercial, kills them by filling them with spiders and snakes and bugs. Only a doctor with a mustache, a drinking problem, and a penchant for grieving daughters can save them all. Bonkers. Beautifully bonkers. So my wife quickly concocted some kind of clove and lemon cocktail for us to drink, and we streamed it off Amazon Prime. At the first frame, a murky shot of an overpass, Lindsey made a prophetic joke, “That doesn’t seem like a very Halloween scene.” I’m not sure if she meant it in the movie way or the holiday way since you can’t, you know, speak italics. “That bad, huh?” I wasn’t surprised. I could tell by her reaction during the movie. Not to mention that I had found the movie pretty drab. Somehow. “You liked it?” she asked. 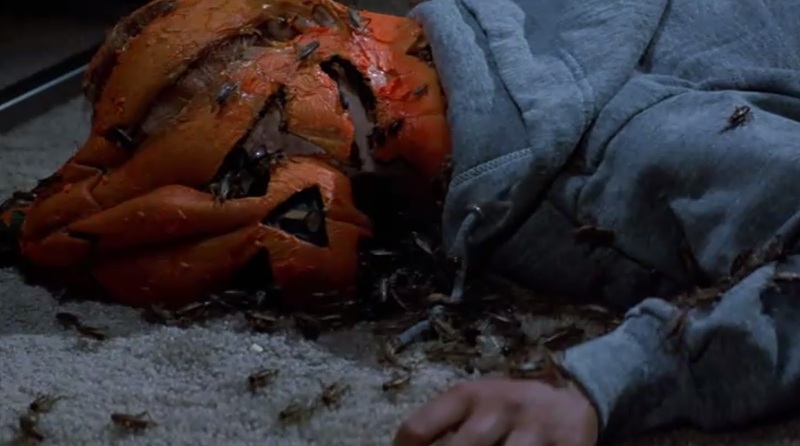 “I think they were the only things that gave the movie any sense of Halloween. What about being disgusted or scared? Did that happen to you at all?” In the past, I had seen some wonderful reactions from her thanks to the mastery of such bloodmavens as David Cronenberg and Clive Barker and Stuart Gorden. She was right. The conversation wasn’t going anywhere. So I left it at that, but then returned to surprise-question her a few days later. I wasn’t hopeful. After all, I had agreed with everything she’d said so far. And I gave up. At least the conversation. I still thought about the movie itself. It had a great, bonkers plot, the masks were awesome, the acting was fine (some of it was, admittedly a little robotic...Ha). But I think overall, all those great pieces were just kind of stacked on the floor instead of masterfully fitted together. Somehow a movie about stealing Stonehenge and making snakes come out of children’s mouths was flavorless. The storytelling (not the story) was just bad. They style was bad. All it had to be was atmospheric or Halloween-drenched or horrific or fun. It only had to be one of those things for it to help me make sense of the current fascination with the movie. It was none of them. But still, many horror fans are embracing it these days. I’ve seen tons of T-shirts, retrospectives, and references just this season alone. The only way I can explain it is that the masks looks great, especially on a T-shirt, and that the individual set pieces, when referenced, seem cool. And while this might be Halloween heresy, I really think the movie is being embraced in the ideal. Which is fine. There are plenty of movies I do that with. So, yeah, maybe originally it was “unjustly maligned” for not having Michael Myers in it. But today, I think there is a just reason to malign it. And I’m bummed about that.